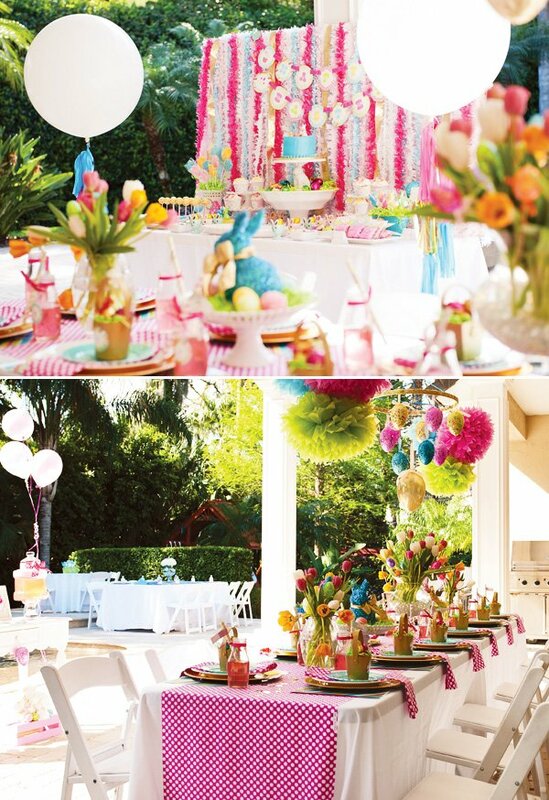 Spring is officially in full bloom with this Pink & Shiny Easter Party by Ellen Bessette Events! 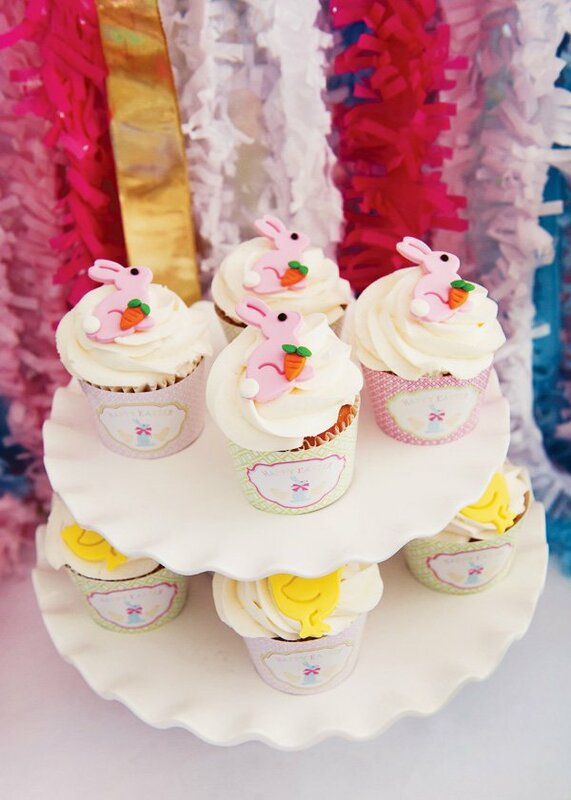 Using Anders Ruff printables, cheery tulips, festive chocolates and sequin bunny centerpieces, her annual Easter celebration has never been brighter! 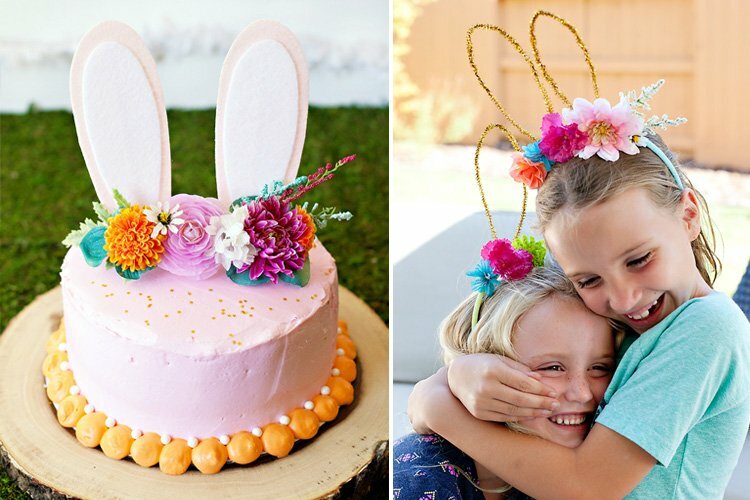 With metallics being a hot trend this Spring, I was thrilled that Anders Ruff designed their Easter collection with hues of gold! 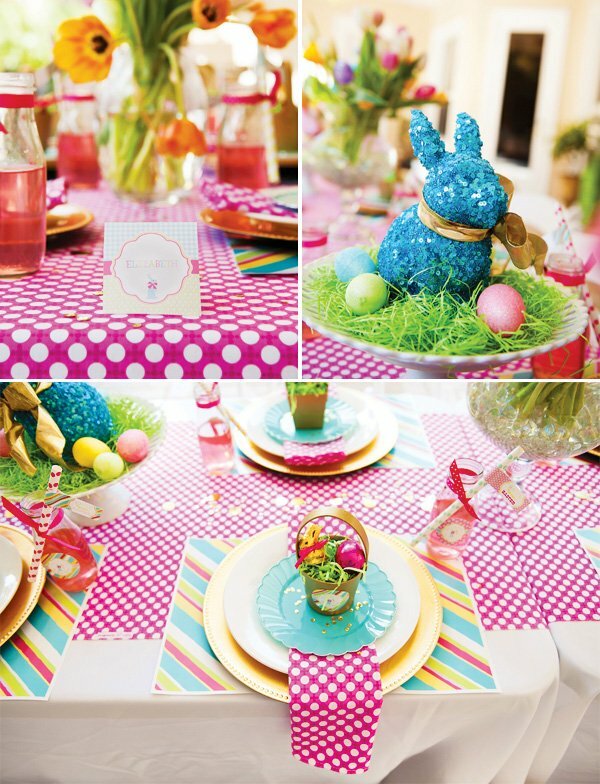 I loved mixing the gold in with the traditional Easter colors of pinks, blues and greens. 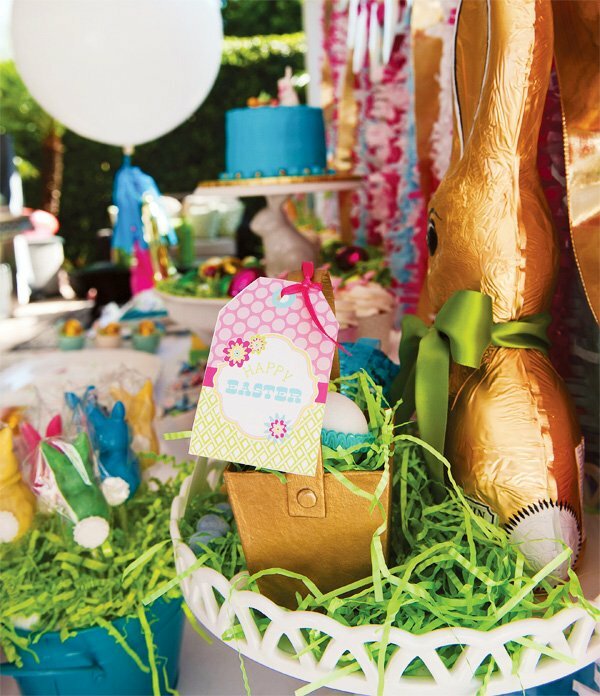 For the table tops, I painted mini paper mache Easter baskets a rich gold and personalized with a 2″ logo circle. 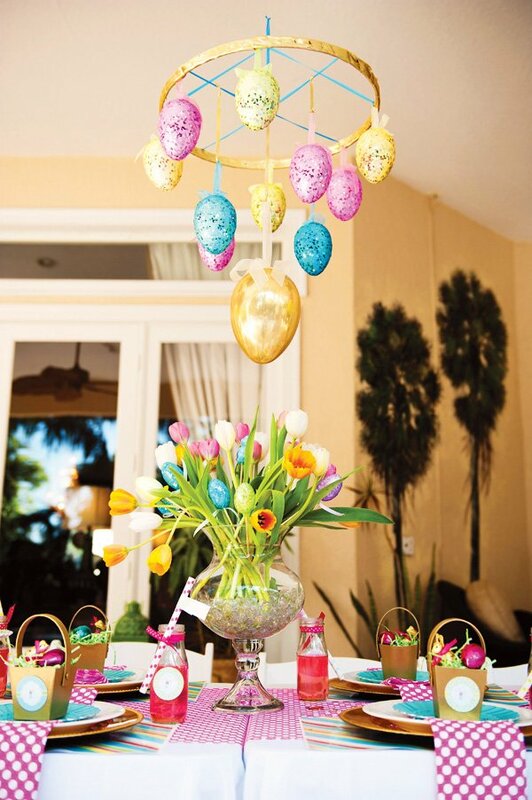 To bring out the metallics, I filled with golden Easter bunnies and golden eggs. I made placemats out of their coordinating paper to help tie in their collection along with straw flags and 2″circles on the glasses. I added some touches of gold with some simple gold sequins on the plates and down the middle of the table. 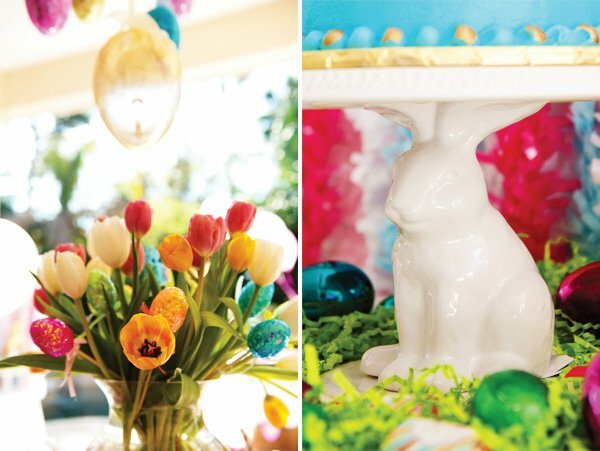 Some of my favorite elements on the tables were the fresh tulips to match their collection, the DIY Easter Egg chandelier and DIY polka dot napkins. 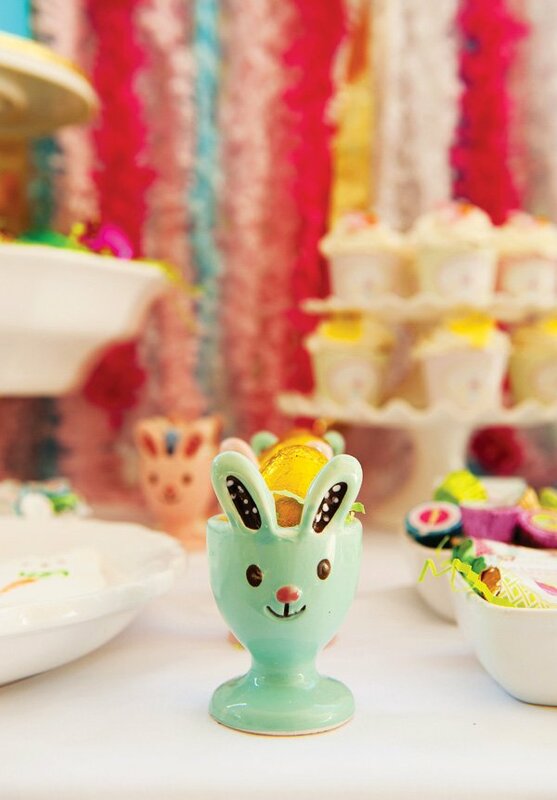 I found the sparkly eggs at Michaels and knew I had to find a way to use them in the party. 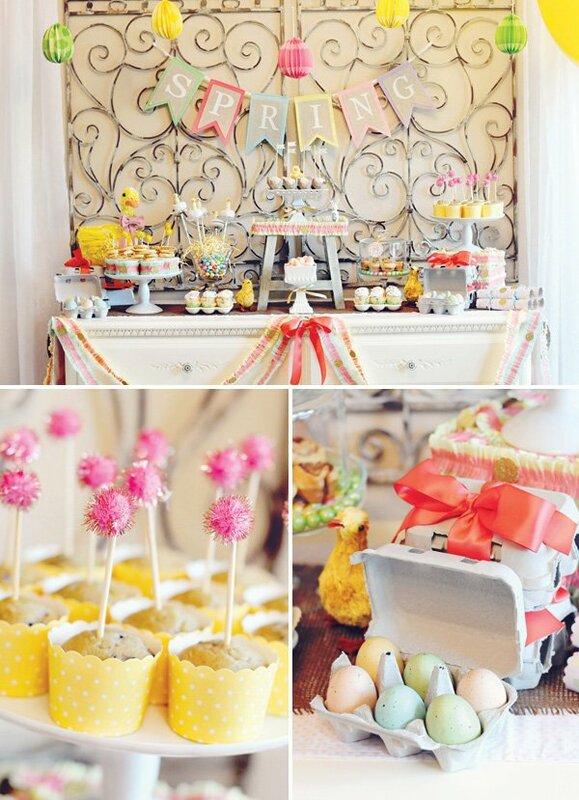 The dessert table is always so much fun to put together and easily done with AR’s Easter collection. 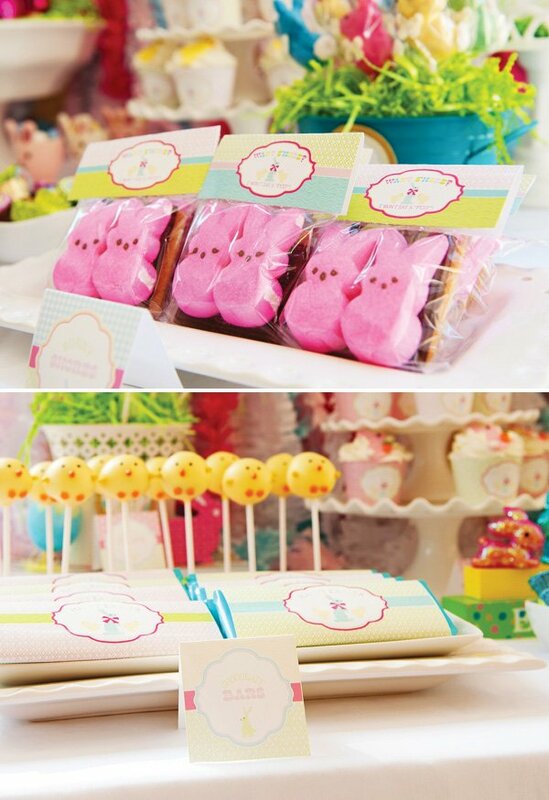 My favorites were the bunny smores along with the cupcake wrappers and placecards. 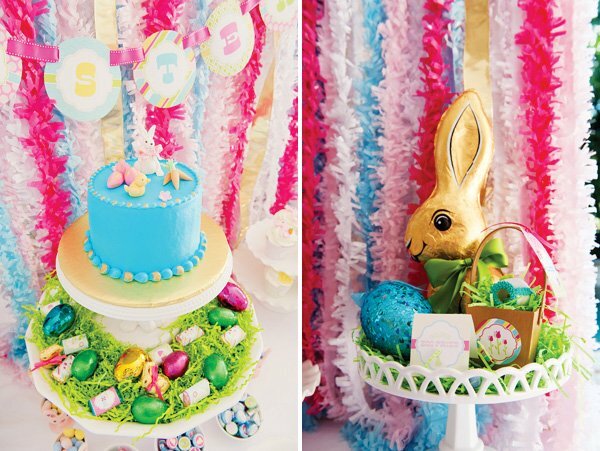 I had my baker add touches of gold to the cake and I added a large golden bunny and lots of golden eggs to the table to tie in the metallics. 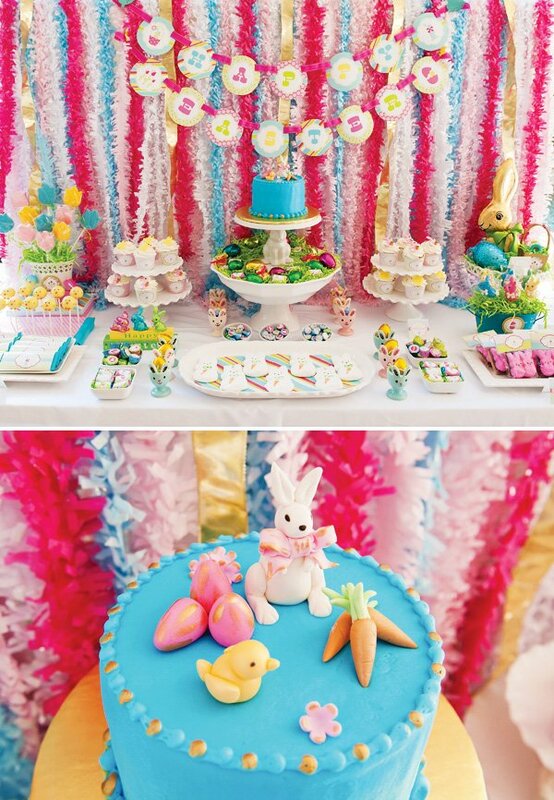 For the backdrop, I used crepe paper and gold ribbon to tie in the colors and dressed it up with the Happy Easter banner. 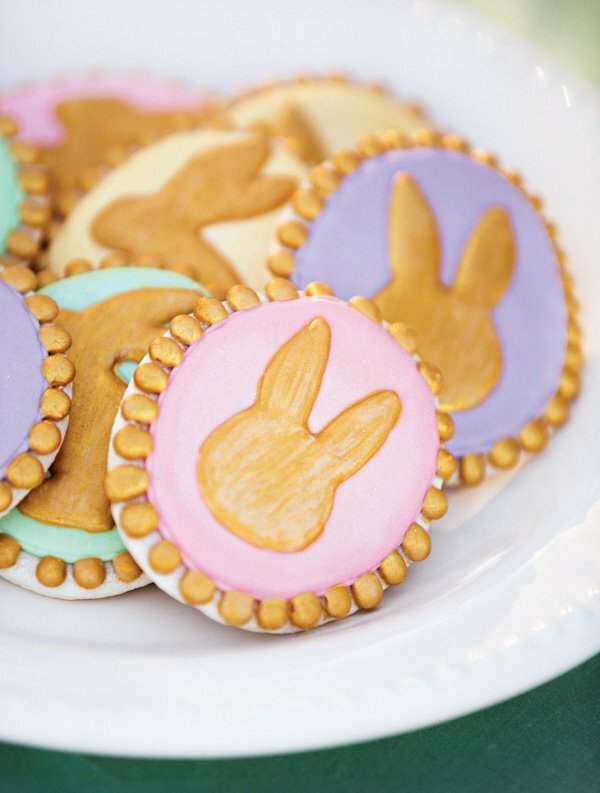 The designs are so cute you can’t go wrong with them! 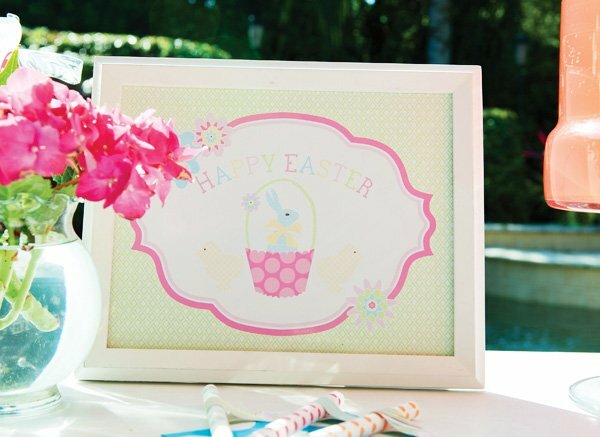 The beverage table had the Happy Easter sign framed along with some simple flowers. 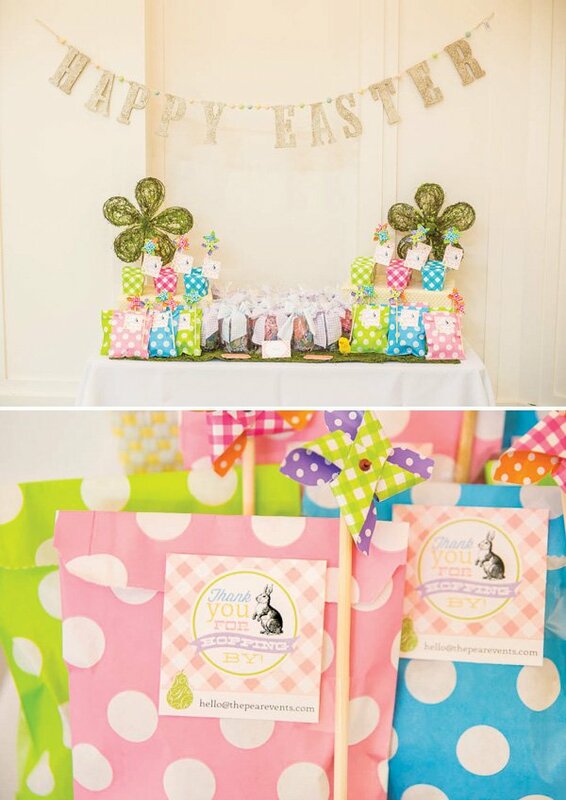 I had a friend personalize a beverage tub and napkin holder to go with the theme and left some straws with straw flags out for everyone’s pink lemonade. 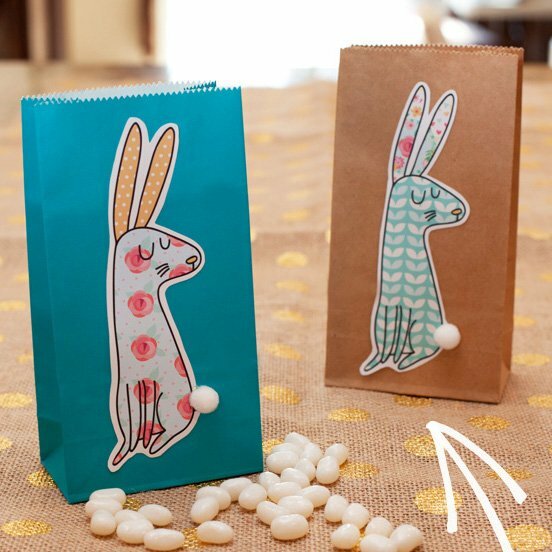 For food, we had bunny shaped turkey sandwiches, mini hummus containers with carrots, cheetoh filled bags to look like carrots and lots of fruit and sweet goodies. 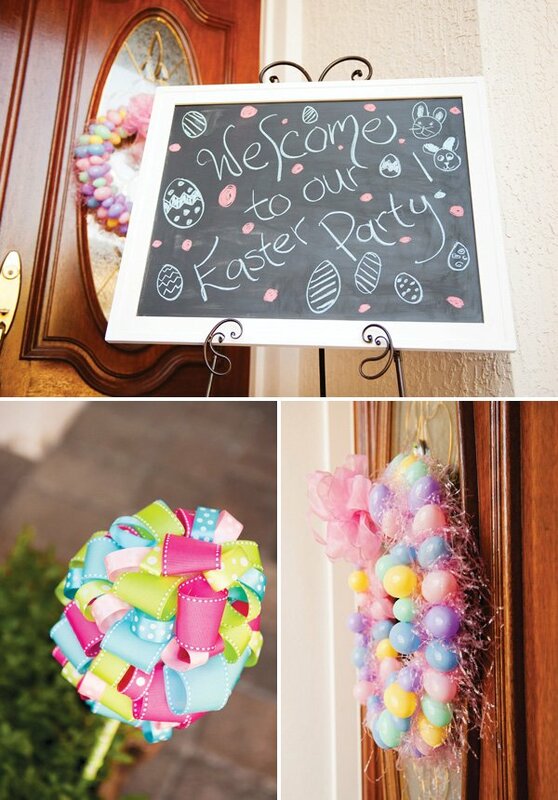 The kids stayed busy decorating and painting plaster egg magnets. 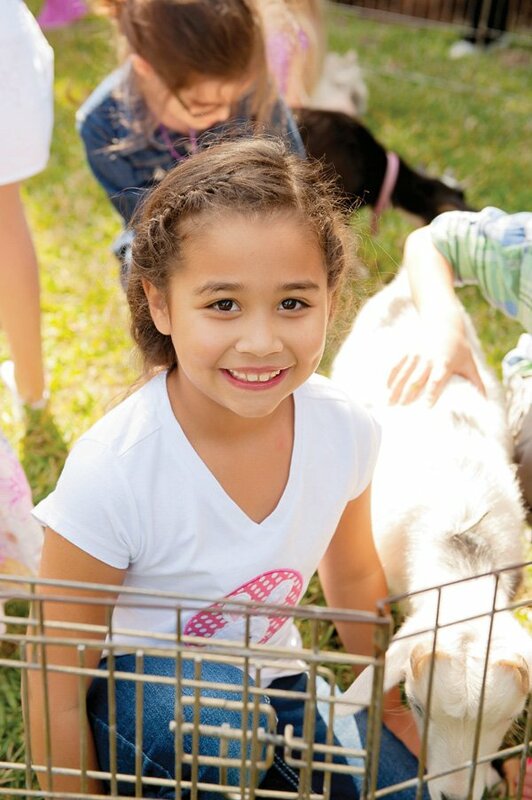 We had a petting zoo with sweet bunnies, chicks, ducks and baby goats and we ended the party with a successful egg hunt ending in a lucky person finding the Golden Egg! 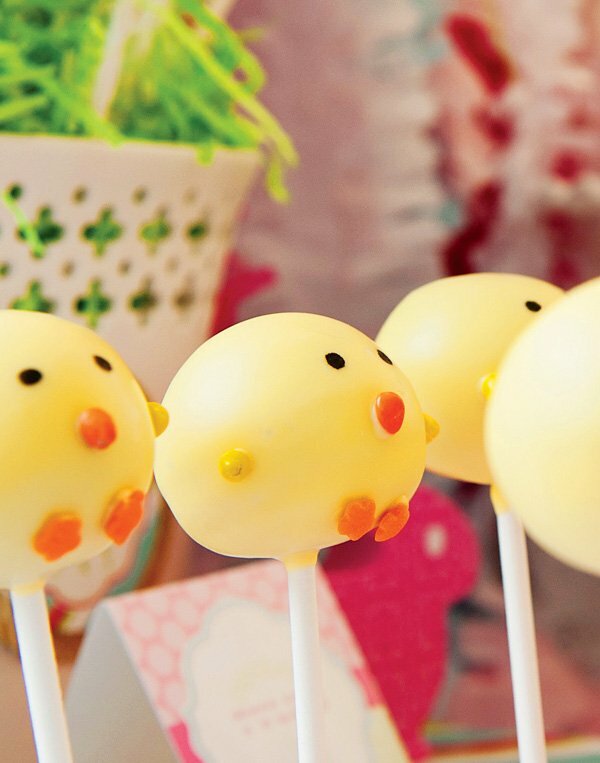 Even though there only several DIY ideas in this party, there were lots of bargains that I was happy about! 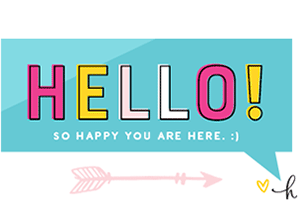 For example, getting fabric on sale at Joanns and buying enough to coordinate table runners and napkins. White porcelain plates clearanced at Bed Bath Beyond. 12 plates for $9.00. I found the blue scalloped plates at Party City. 20 for $9.99. 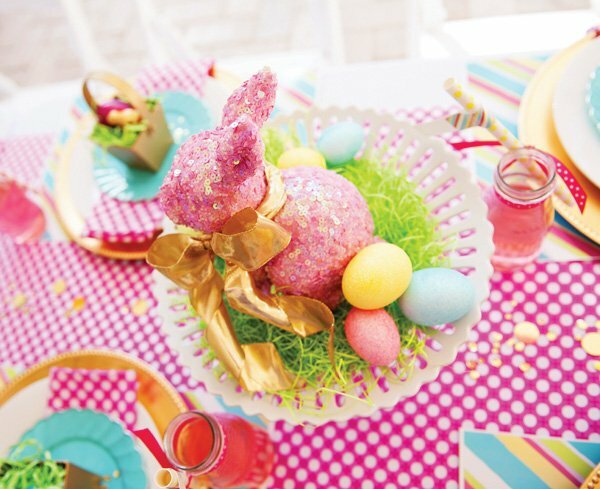 Paper mache baskets found in the $1 bins at Joanns and $1 for a bag of gold sequins in all different sizes. 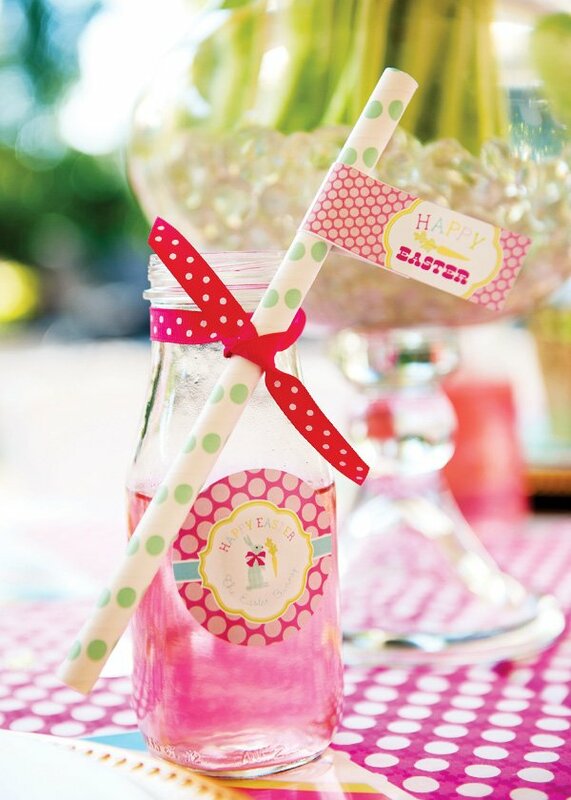 And the polka dot jumbo straws from Target for $3.00. Gotta love it! Wow! so over the top and fun!